Despite the digital nature of esports, the data landscape of the industry is severely undeveloped. When ESI London ran over September 18-20th, Moritz Maurer hosted a session to discuss the idea of how data can be used to drive storytelling. The talk included Maurer’s history in esports as the head of an established esports bookmaker to how his new company, GRID, is utilising data to create storylines in Counter-Strike: Global Offensive. Here’s some of what was said during ‘New Age Raconteur – Data driven storytelling‘. Kicking off the session, Maurer gave insight into his background in esports and working with data. He was one of the brains behind GGwins, a company which he explained was the first esports bookmaker to the regulated by the UK Gambling Commission in 2013. He later sold it to Betgenius in 2015, but gained a ton of experience and knowledge from the venture. 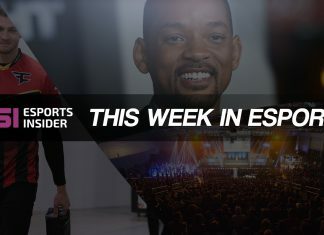 His latest venture, which was announced at the beginning of September, is an esports data platform called GRID. The purpose of GRID is to unlock “new commercial opportunities for esports” as well as enhancing the “viewing experience” for fans of esports. It’s a technology-as-a-service platform that uses data from games and leagues. Alongside the announcement of the platform’s launch, it was revealed that GRID had partnered with FACEIT to highlight unique in-game moments during the CS:GO Major in London. This included identifying unusual trends or remarkable moments from games, such as a player obtaining an unusual amount of kills based on averages across a deep pool of data. Data-driven content is a critical part of event coverage in traditional sports, yet it’s mostly absent in esports. He told the audience that storytelling through data is a great means of bridging the gap to audiences, and it helps to further deepen engagement of esports narratives.